Picture having enough inventory to fill 10 rows of shelves equaling about 1,800 square feet. Now imagine putting all that inventory into a storage unit with a footprint of merely 160 square feet. That’s exactly what a Melbourne, Florida communications hardware provider did. 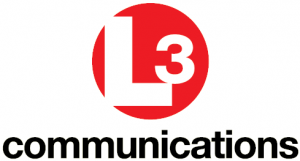 New York-based L-3 (l-3com.com) is a Department of Defense contractor in aerospace systems and national security solutions. The Melbourne site is a part of L-3’s Linkabit division, which specializes in SATCOM, Electronic Warfare Systems, Tactical Radios, Threat Simulators and Obscuration Systems. “We had our stockroom offsite and the transportation and wait time required to go and get material and bring it back,” says L-3’s Steve Black. “We were only able to support about two runs a day.” Like most organizations dealing in warehoused inventory, L-3 needed much greater accessibility.“We wanted to bring our fast moving inventory next to our manufacturing site and we were okay with building a building to do that, but we had only a very small footprint to work with.” So Steve contacted Outsource Equipment Company (osequip.com)and talked to salesperson Andrew Hennes. “Andrew is really responsive. He came and met with me, andhe brought options,” Steve explains. “We had a really good exchange. I told him our goal was to reduce square footage in terms of floor space and that I wanted to be able to gain back as much as I could.” At first, L-3 wanted to save money by obtaining used equipment, which is always an option through Outsource Equipment. Andrew quickly located two machines that would work in tandem to meet L-3’s needs. But Andrew didn’t stop there. Ultimately, Andrew presented a solution that Steve says was “the perfect match.” Andrew found a single, brand-new Modula vertical lift module (VLM) that would meet all the requirements – while only costing about 15% more. And, as a new piece of equipment, it came with a two-year warranty. “We settled on the Modula Lift ML50D because it has 1,800 linear square feet of storage capacity,” says Steve.“Based on the amount of shelving we had per shelf, that equaled 10 rows of shelves – which was a pretty big deal, as it was the exact amount of space we needed.” Specific Benefits The benefits of the VLM automated storage/retrieval system weren’t limited to space savings, though. “It sped up our kit-pull process by probably 60%,” Steve notes.“From that standpoint, it allowed us to reduce staffing, because we don’t have to have as many people running the stockroom to make the output requirement.” “And the VLM provides a quicker release for us,” adds L-3’s Mary Henn. “We simply tell it to bring down the row where an item is rather than having to search up and down shelves. There’s a much quicker turnaround, so we are able to satisfy our internal customers when they need a part quickly.” Productivity can be increased by approximately 2.5 times by using a Modula VLM. In addition to the reduced amount of time spent searching, other key reasons for this are: Less time spent walking the aisles Less time spent replenishing Less time spent on paperwork Even stocking the VLM was a breeze compared to setting up a traditional warehouse. “The actual stocking is easier, because the computer tells you where to put things. When you have shelves in a stockroom, you basically have to do an alphanumeric ordering of the parts,” Steve points out. “Now we don’t have to do it that way. That’s a huge time savings as far as building a stock room from the ground up,” he says. “It reduces the overall complexity.” For more about how installing a vertical lift module helped L-3, check out this blog post.